In 1895, women were not expected to work - or even know about - medicine. Women were expected to work as house-wives, mothers, teachers and nurses. One woman was determined to change that. 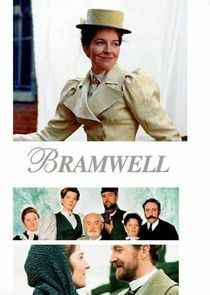 Eleanor Bramwell works under Sir Herbert Hamilton's supervision. She isn't happy. After he stupidly loses a perfectly healthy young mother, Eleanor decides it is time to make her mark in medical history. Mocked by fellow medical students and questioned by her father, Doctor Robert Bramwell, Eleanor is soon given a renovated building - by donation of the kind Lady Cora Peters - and begins her own infirmary - The Thrift. But with all odds against her, will she survive? Will she make her dream come true? Will her colleagues trust her?